RETIREMENT sounds like a very long word. But it’s not in the dictionary of a Singaporean 100-year-old, the world’s oldest billionaire who made his fortune in shipping, now with an estimated fortune of $1.9billion. But for Chang Yun Chung, founder of Pacific International Lines (PIL), staying at home isn’t an option. He simply enjoys working! 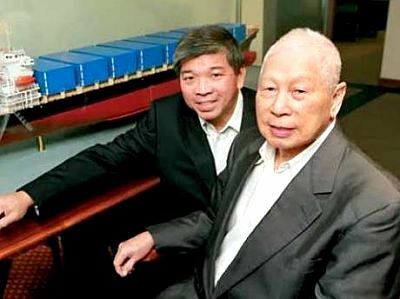 On paper, he has handed over the role of executive chairman to his son, Teo Siong Seng, earlier this year, but the centenarian Singaporean insists on going into the office every day. And who can ever dispute his extraordinary workaholic lifestyle since he came through a rags-to-riches environment and now rightly deserves the right to enjoy the riches of his eight-decade career. He’s now Chairman Emeritus of PIL, an elite title honouring his contribution to the 51-year-old company, and Mr Chang said he visits the firm’s Singapore headquarters daily to run through its operations and check in with every department. For him, sitting idle at home or smelling the roses in his garden is never an option. Coming to work is just an energetic and disciplined way of keeping his mind active. More importantly, and passionately, staying in touch with the company he set up in 1967, just with two second-hand ships. Today, the company, which celebrated its 51st anniversary, has a fleet of 160 vessels and has an MOU with China Merchant Port to develop new markets in South-east Asia, South Asia and Africa. The roots the family’s wealth are in China: Mr Chang at 49 years traded second-hand ships in and out of the country as well as other emerging economies in the 1950s. Today, PIL is in the top-20 of worldwide shipping firms. PIL also owns a controlling stake in Singamas, which operates factories, depots and terminals in China and Hong Kong. Mr Chang is a rags-to-riches billionaire: He reportedly spent one year in prison as a Chinese refugee in what was then Malaya for supplying food and medicine to resistance fighters. But routine is just part of it. Now Mr Chang is guiding his son as he assumes greater responsibility for what is one of the world’s top 20 shipping companies and its 18,000 employees. Mr Teo is overwhelmed by his father’s hyper-active work-enthusiasm and he consults him twice a day, once in the morning and once after lunch, to gain valuable insights and learn more about his leadership style. 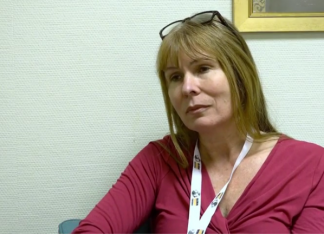 He admits that that mentoring has proven vital as he’s risen up the ranks at PIL, particularly with regard to managing his temper in high pressure situations. Keeping a cool head is a distinct advantage for a multi-national shipping boss. It proved especially important in 2009 when, as managing director, Mr Teo had to manage the hijacking of one of the company’s vessels by pirates off the coast of East Africa. It took 75 days and an undisclosed sum to eventually secure the crew’s release. For Mr Chang’s part, it’s that mentality that has perhaps kept him happy in his role for so long. Like many billionaires, and he’s on record as the world’s oldest, Mr Chang does not court publicity.